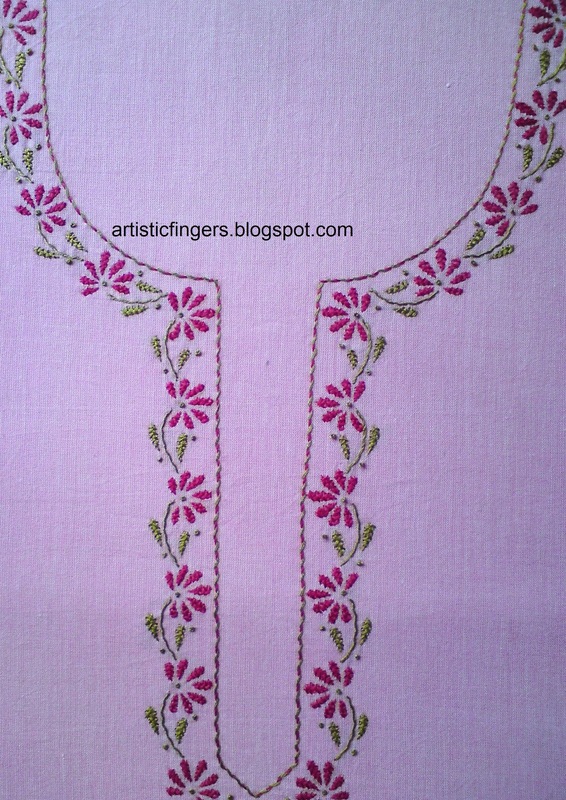 before I forget let me show you all a kurti which I'd finished last week. 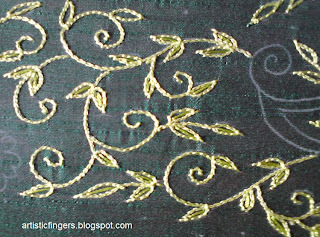 the stem in whipped running stitch. 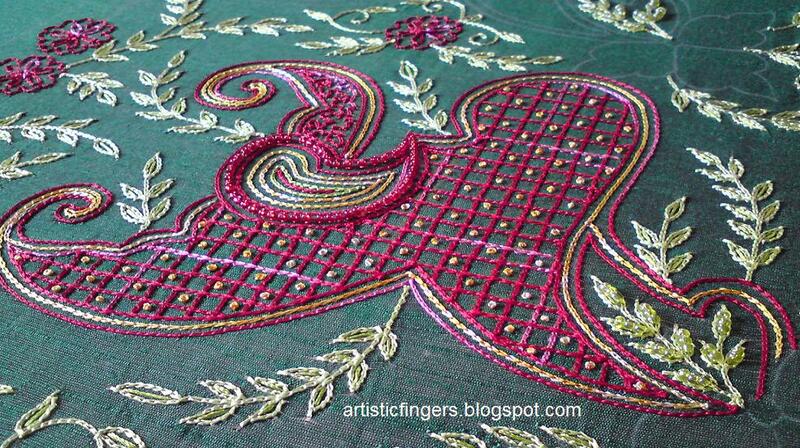 HAPPY THANKSGIVING DAY to those who celebrate. 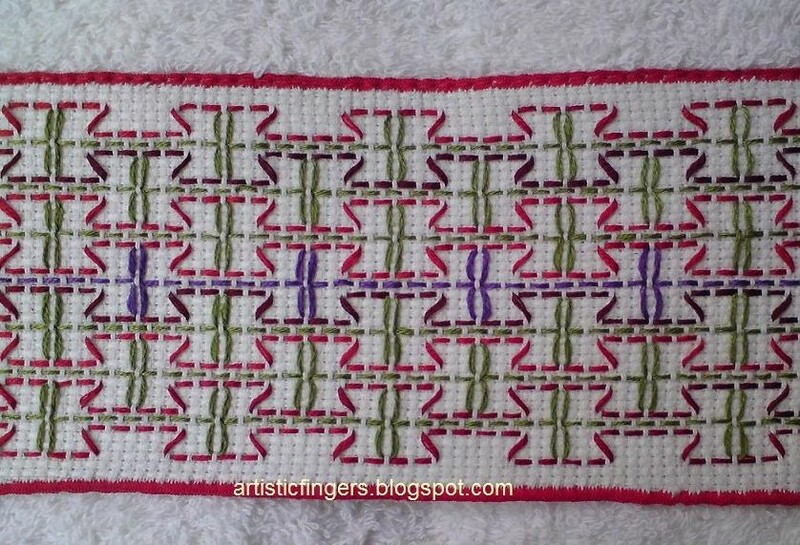 I'm going to show you a towel with SWEDISH WEAVING border today. 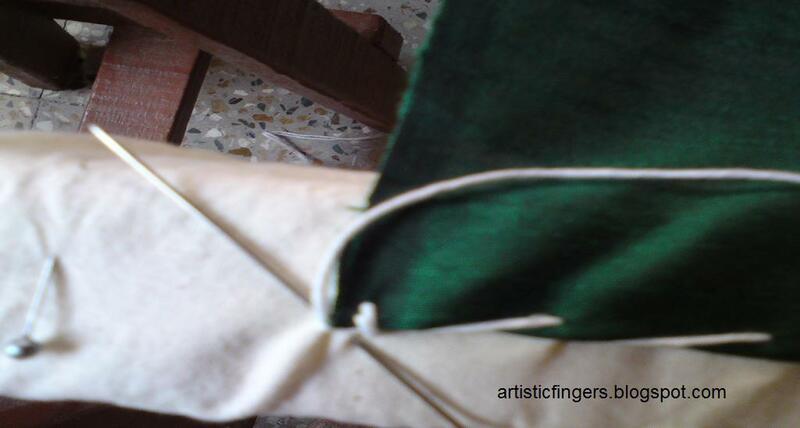 The petal is filled with khiju khiju or vermicelli stitch. 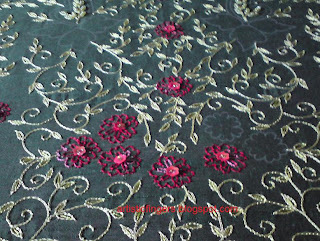 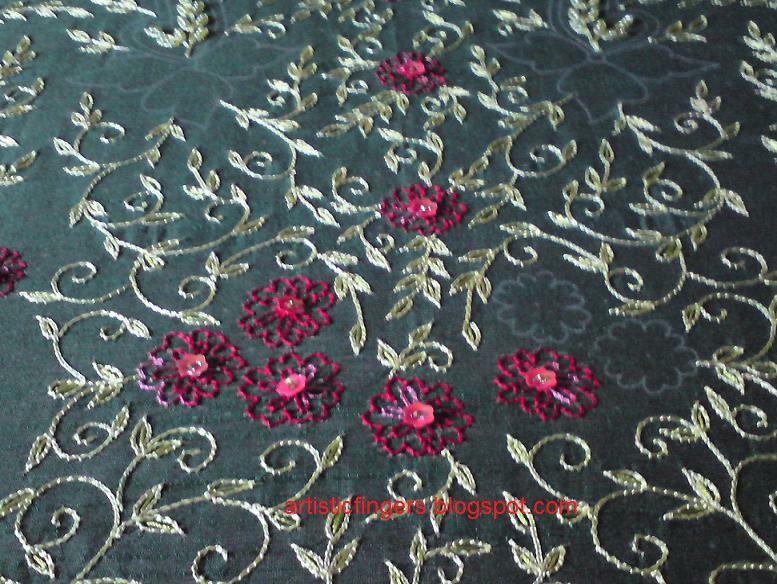 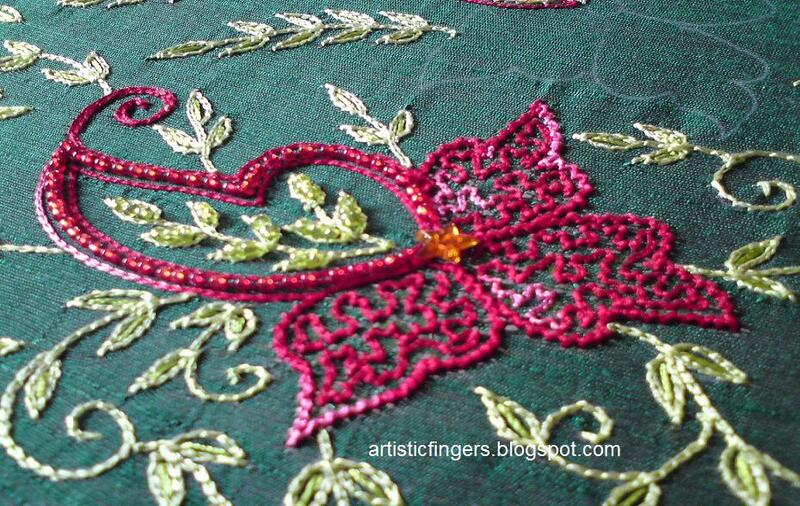 The outline of the petals are done with zig zag chain stitch(over the chain stitch ), stitched a row of red glass beads between 2 rows of chain in the paisley and flower center is a star shaped golden yellow sequin. 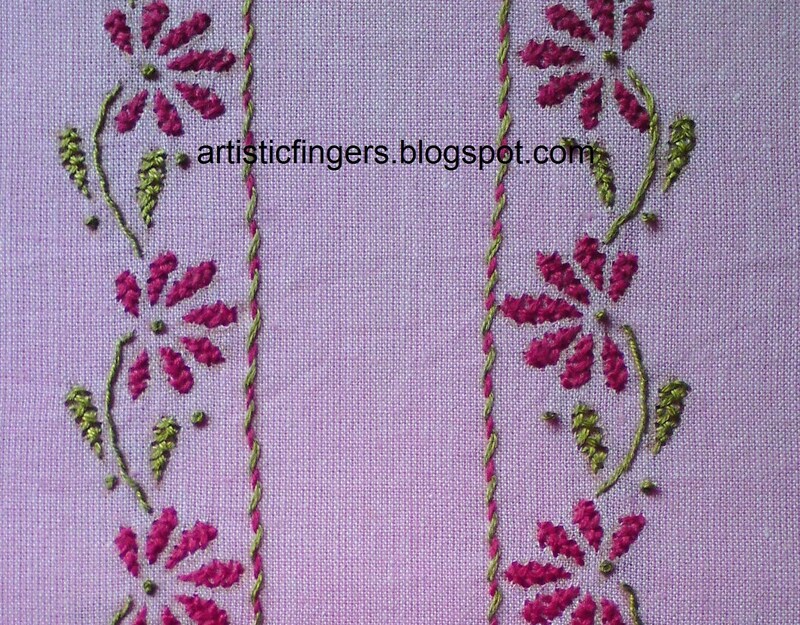 The trellis is chain stitch with variegated red thread and french knots with variegated yellow thread. I've got to repeat these motifs to complete this dress. 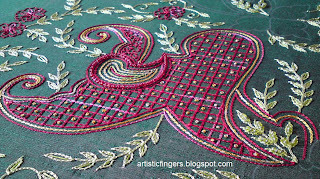 Firstly I'd like thank you all for your support,comments and e-mails. 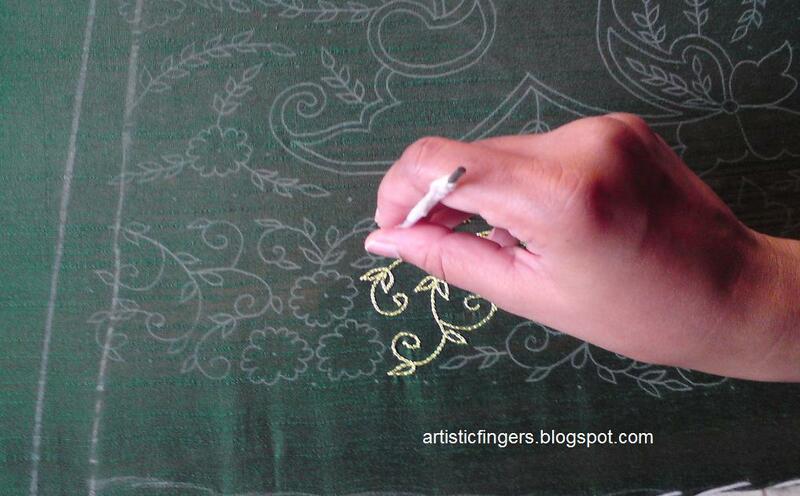 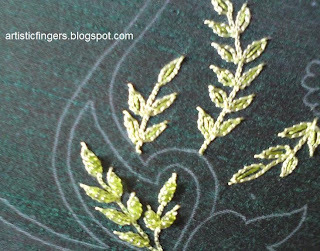 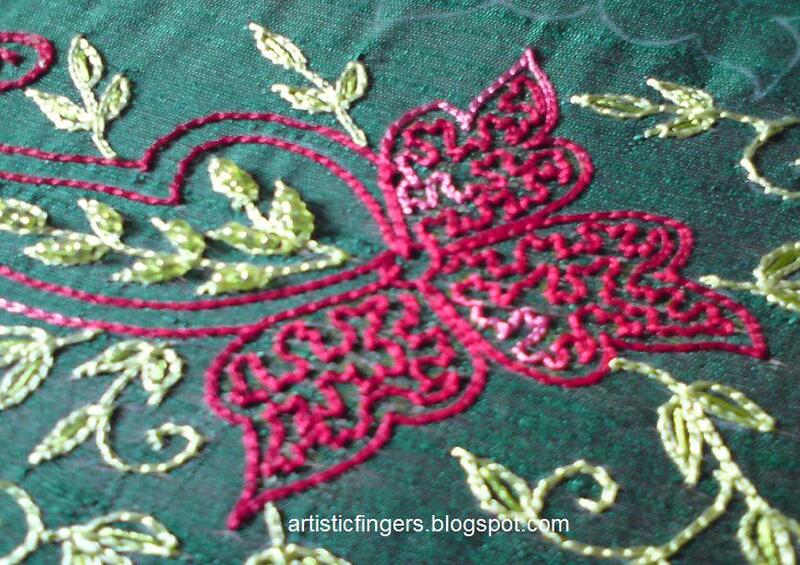 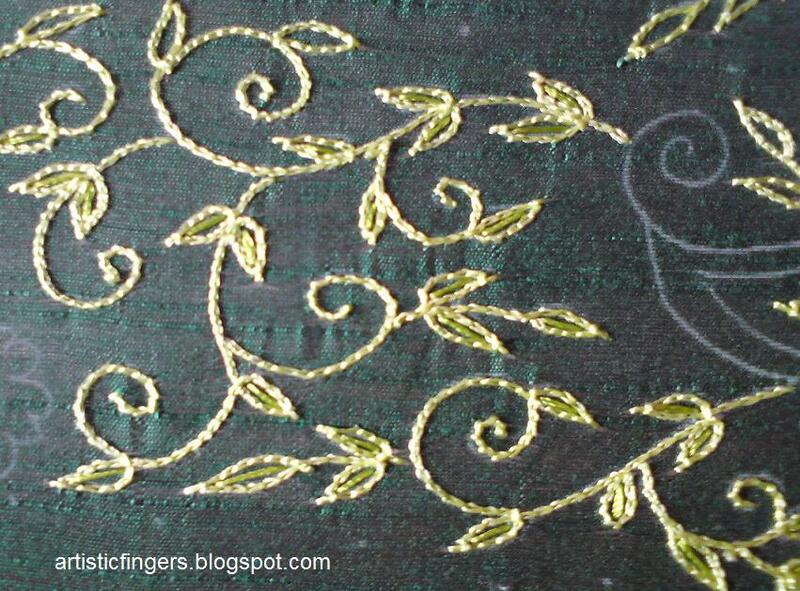 I've made one straight stitch with 4 strands of green silk thread inside each leaf. 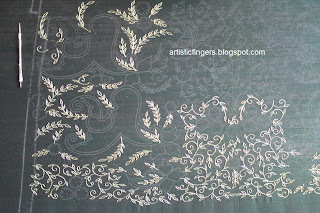 I'd filled some leaves with glass beads. 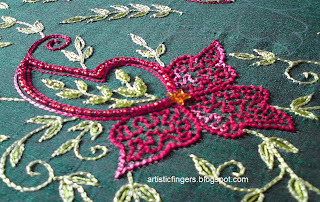 The small flowers are outlined with chain stitch using variegated red and the flower center is a sequin(flower shape) with a gold color glass bead. 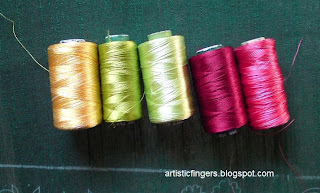 I will be using these silk threads for the salwar project which I'd shown in my previous post. 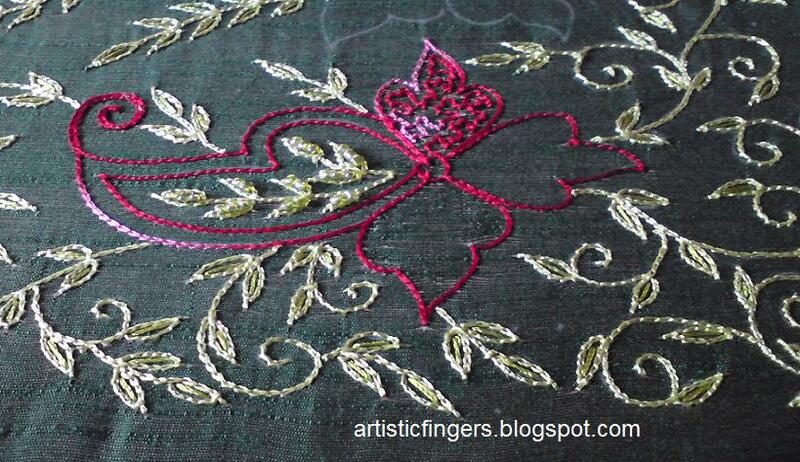 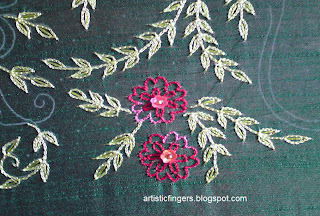 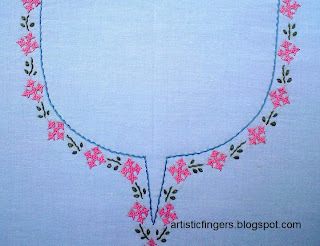 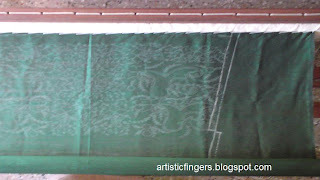 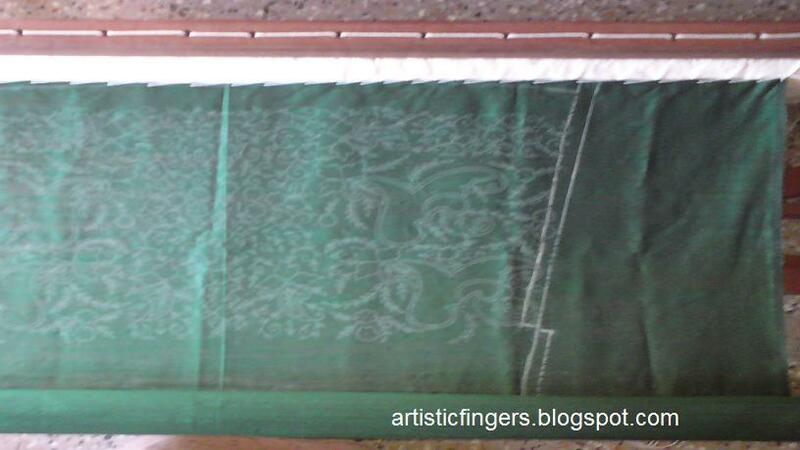 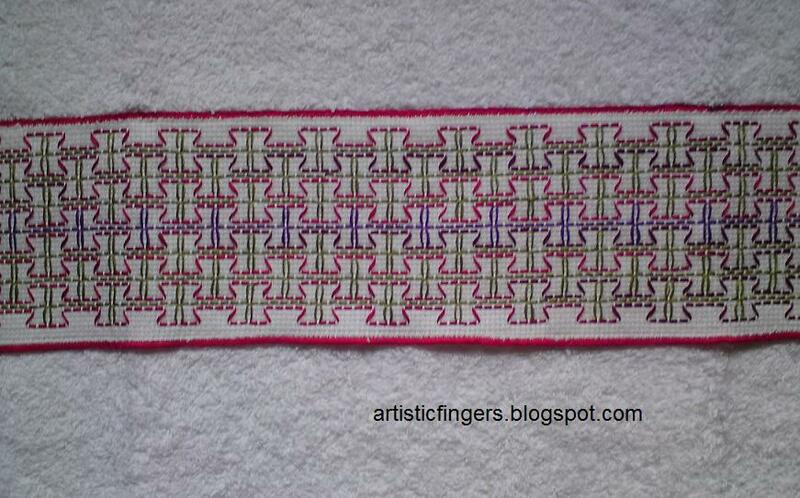 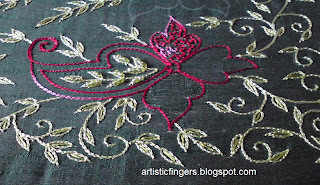 The basic stitch in aari embroidery is chain stitch. 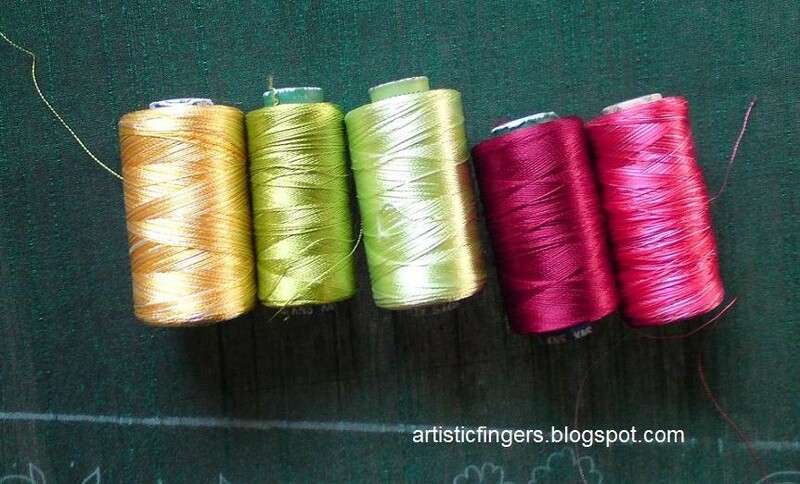 Here the working thread will always be under the fabric . To make a chain - Punch the needle from top,wrap the thread over hook,slightly rotate the needle and pull it up. 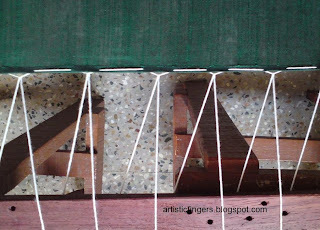 To start - Make a waste knot. 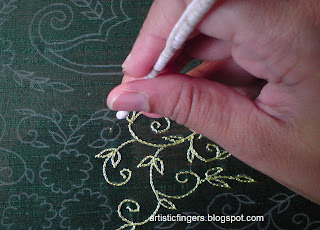 To end - Make 2 loose chains, pull the first chain through second one tightly - a knot is made. 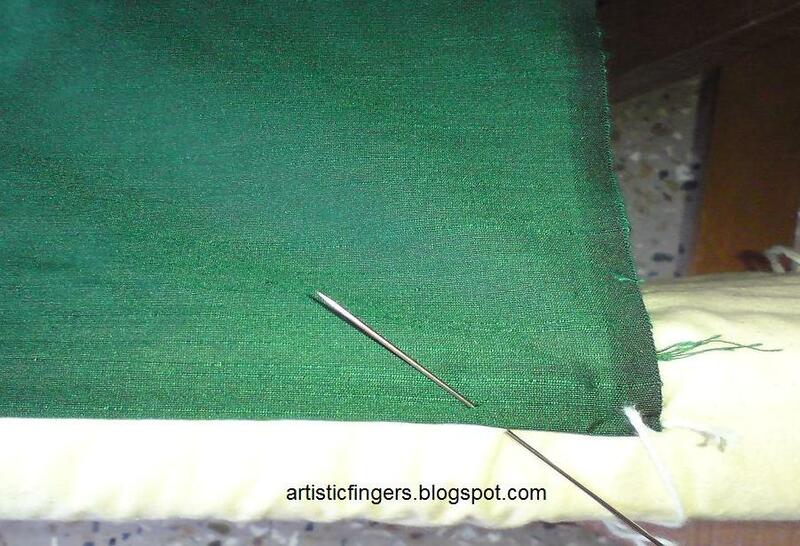 While punching, the needle should be perpendicular to the ground fabric otherwise you'll end up pulling warp or weft thread of the fabric. 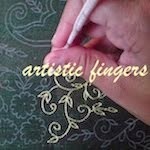 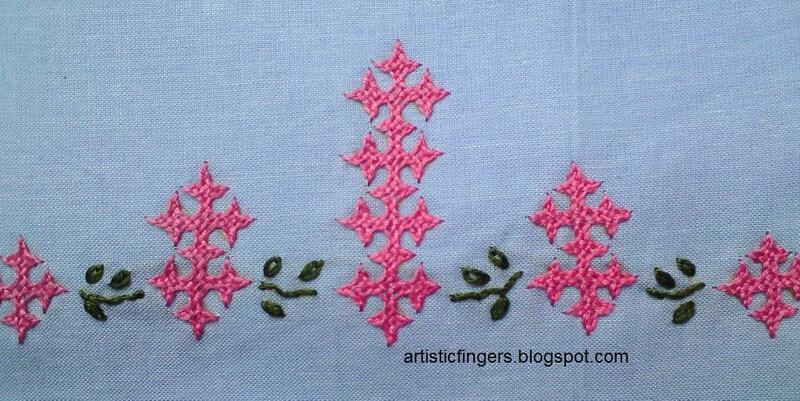 I've worked all the stems and leaves in chain stitch. 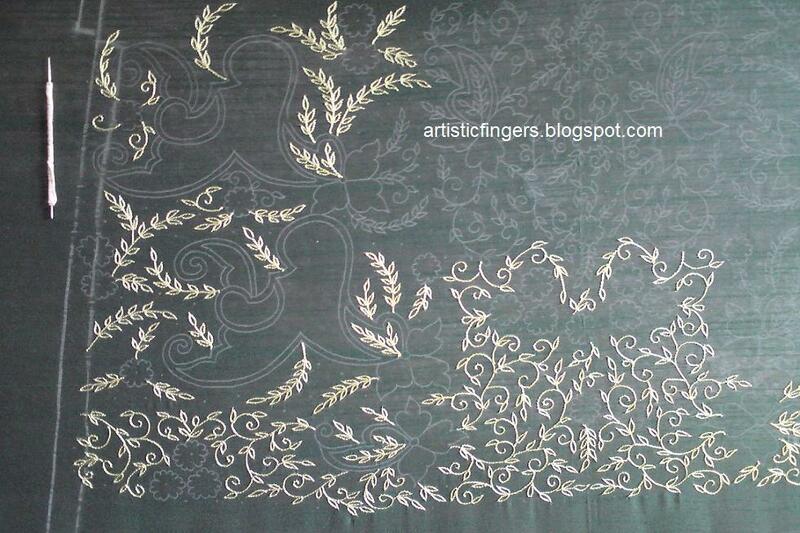 Before attaching I'd transferred the design using white carbon paper . 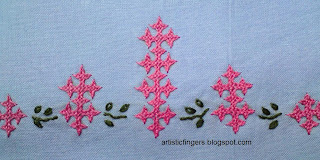 The design can also be transferred onto the fabric by prick and pounce method . 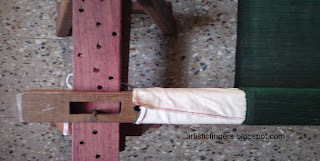 The fabric is attached to the 2 main bars. 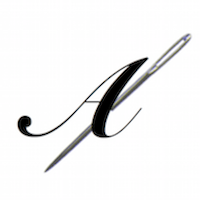 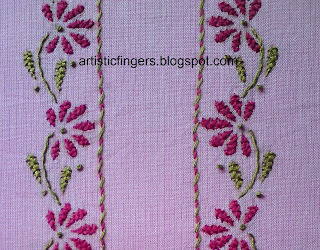 Mark the center of the bars as well as the fabric on both sides and pin it up.Use the cotton thread (see aari embroidery part 1) to stitch the first side of the fabric to one of the main bars. To begin make a knot & to end put 4-5 back stitches on to the white cotton cloth which is attached to the bar. 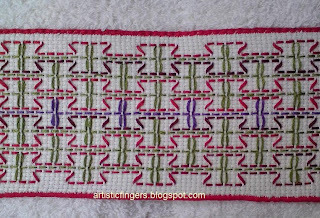 Then stitch the second side to the other bar and roll it up. Now insert the stretcher bars and stretch the frame and place the pegs or nails. Then fold the selvedges, make small darning stitches and pass the same thread through these stitches, pull it tight , tie the thread to the peg/nail. 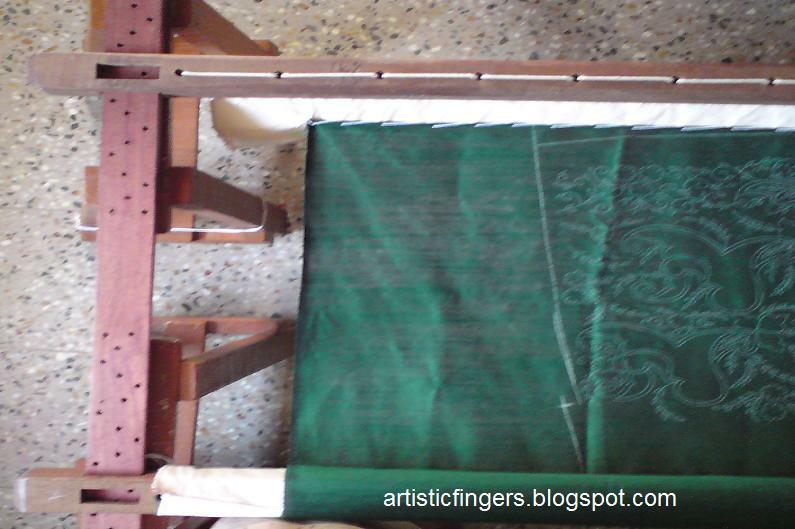 Now all the 4 sides of the fabric are stretched . Next step is to start stitching . 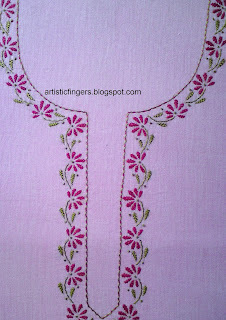 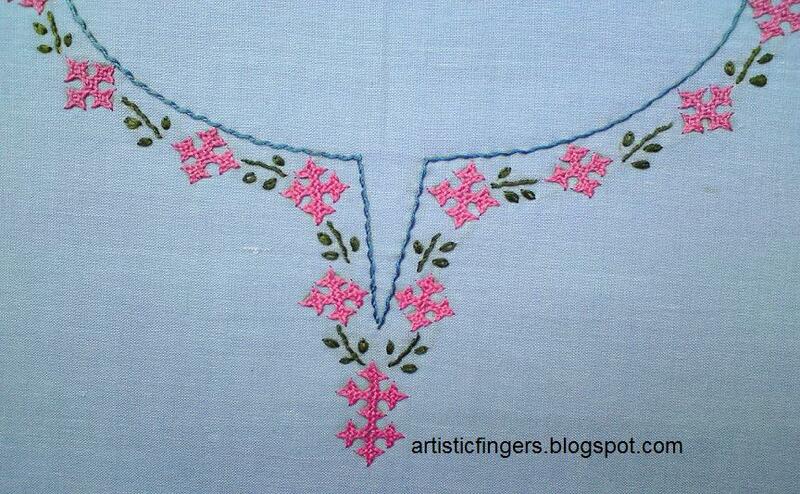 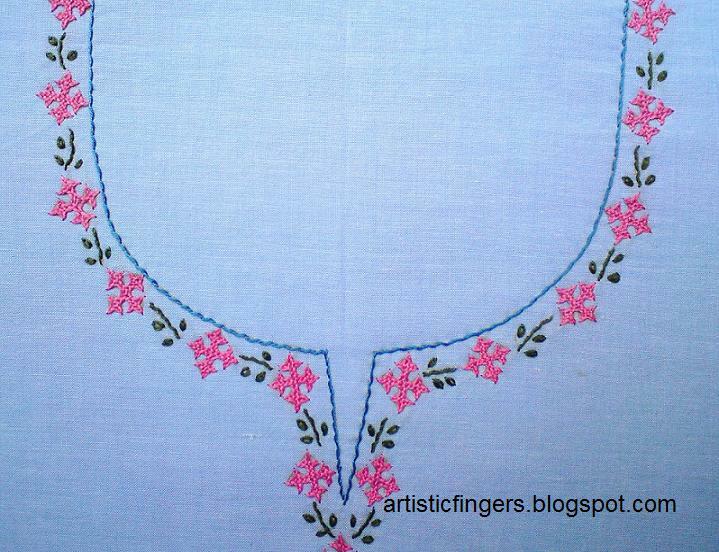 This is a pink kurti- free style embroidery. 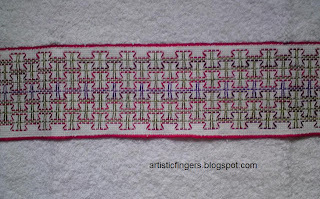 The stitch in my previous post is ITALIAN KNOT.